Last Saturday Alice and I decided to take 2 of our 6 dogs to the park for some fun. Nelly isn’t really a dog’s dog, but she LOVES Franny. 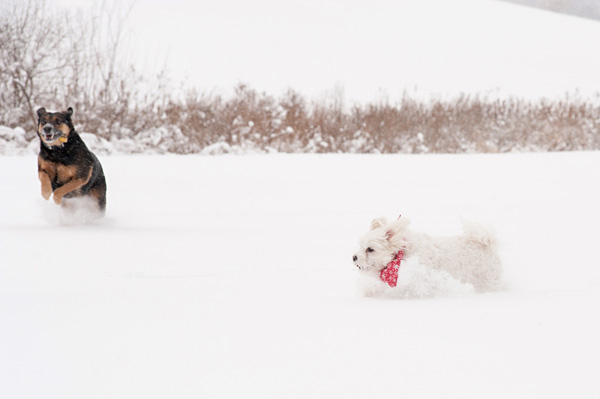 We had about a fair amount of snow, and it was really hilarious to see Nelly chasing Franny. It was also heart warming, because until recently Nelly was beginning to slow down and was too sore due to her joint stiffness to chase and play with the other dogs. Nelly started taking Natural Stride Hip & Joint Supplement a few months ago and I’m happy to say that it has really worked wonders for her. She had a great time playing with Franny, but I worried that she would be stiff the next day since it was more than her usual amount of exercise. I’m happy to report that Nelly was just fine on Sunday. *60 Day Money back guarantee, and since you see the results in days, you don’t need to wait months to decide if its working. 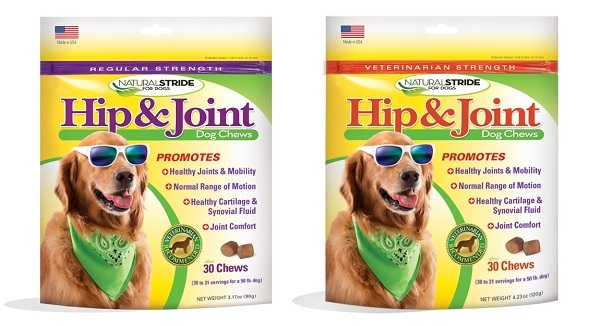 The downside of the Natural Stride Hip & Joint Supplement? Its one of those good news/bad news things. Nelly is active again. The other day she saw a squirrel and chased it about 50 yards before I could call her back. I’ve been lulled into a complacency that Nelly isn’t going anywhere fast, but now she is! Its a problem I’m happy to have. 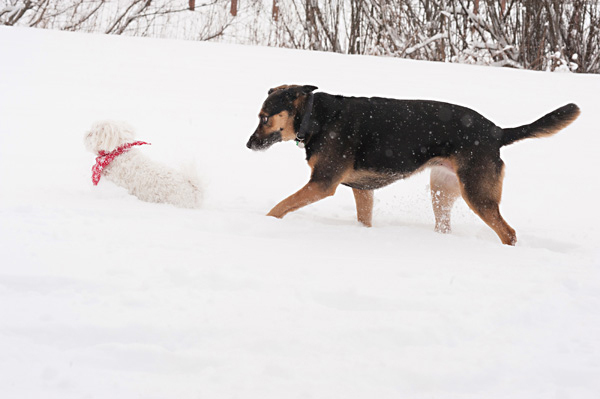 If you are thinking about trying a hip and joint supplement for your dog, I recommend that you try Natural Stride. Use the code DOGTAG20 to get 20% off your purchase until 3/31/14. 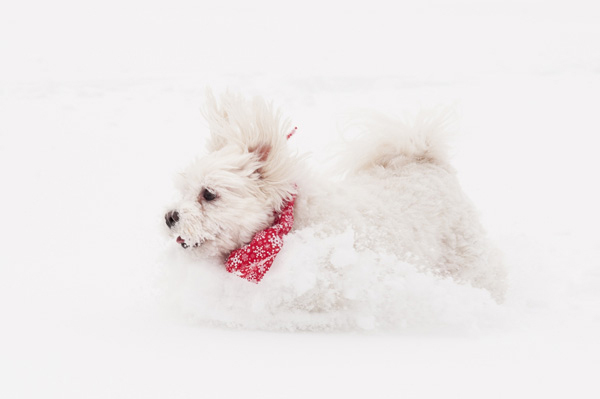 Natural Solutions is giving away 2 prizes: a package of Natural Stride Powder and a package of Chews to two Daily Dog Tag Readers. Enter to win! Please take a quick survey to help Natural Solutions understand your pet’s joint supplement needs. Be sure to like Alice G Patterson Photography on Facebook! You can see more of her photos on her blog. About Alice G Patterson Photography: Based in Syracuse, Alice is a bi coastal wedding and portrait photographer. She has 3 dogs of her own. This post is sponsored by Natural Solutions for Life on behalf of the BlogPaws Blogger Network. I am being compensated for helping spread the word about Natural Solutions for Life’s Natural Stride Supplement, but the Daily Dog Tag only shares information we feel is relevant to our readers. Natural Solutions for Life is not responsible for the content of this article. Look at her go!! 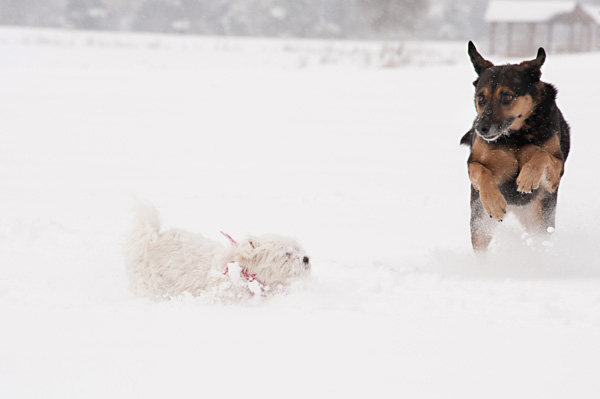 It is so great to see our dogs doing so well, isn’t it? 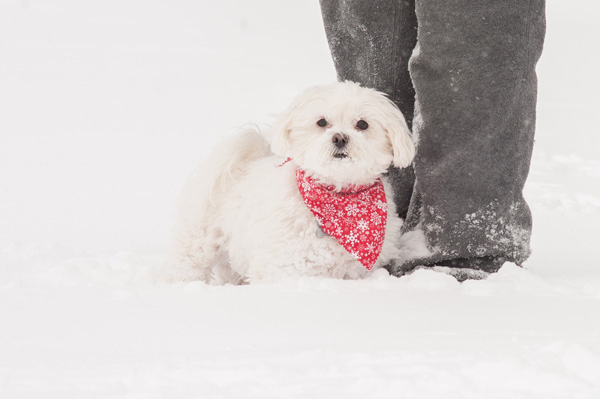 Good thing you put that red bandanna on her or we might not have been able to see her in the snow! 🙂 They are both adorable. Thanks Jan! I’m really happy to see that its working for so many dogs! Its made a big difference for Nelly. If you win it will be an easy way to see if it works for your dog! You’ll know within a short time! If you decide to order remember to use the discount code : DOGTAG2o! What great photos! 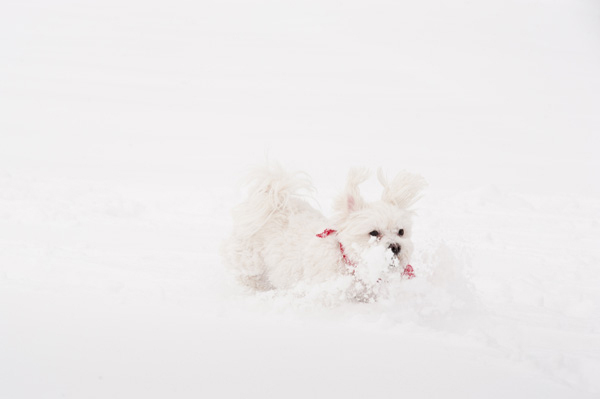 She blends in with the snow so well. 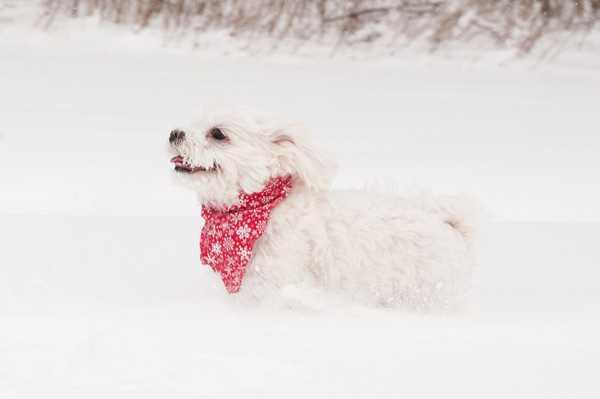 I’m sure that running through all that white stuff was a lot of hard work. Glad they worked for her too. Right now my dogs take an fish oil supplement that I pump onto their meal once a day.